Shop with a list: Use a list when you shop to help keep you focused. If you do the thinking/planning before heading to the store, you’ll save time and money. It can also help when you are online shopping! “Even if it’s on sale, if you don’t need it, it’s not a bargain.” I heard someone say this on the news this week, and it is great advice! Don’t buy something just because it’s on sale. Ask yourself: Do I need this? When will I use it? Do I know where I’ll keep it? Shop at home first. Do you have a “gift” closet or bin (or lots of bins)? 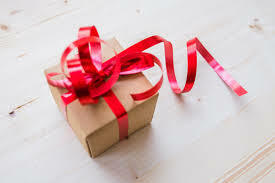 Do your shopping for gifts here before buying more. Be sure gifts for kids you are saving are for the right age. If not, donate them. Don’t shop for things, shop for experiences. Experiences or memberships are some of my favorite gifts to get and to receive. Museum memberships, movie gift cards, classes, or a day out with the gift giver are gifts that anyone would enjoy receiving.